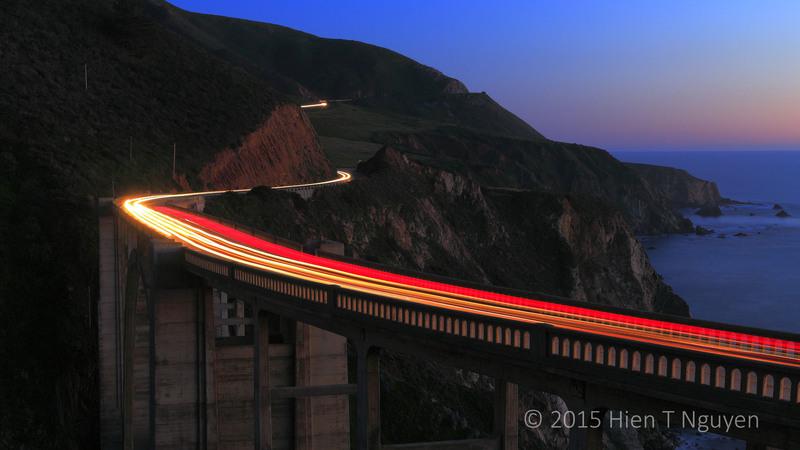 Following is my entry to this challenge: nighttime photo of Bixby Bridge on Highway 1 south of Carmel, CA. Reblogged this on Hello Creatives. Exposure time was 30 seconds at f/16. Thank you Shannon! Bold stroke of red light. Amazing shot. So it was worth standing out in the wind and cold to get that shot! Thank you Tiny.